Here's the big news everybody has been waiting for. There have been various rumors about Vijay 63 in the past few weeks. It was widely discussed that Atlee will be directing this film as well. Now it looks like the rumors are might turn out to be true. 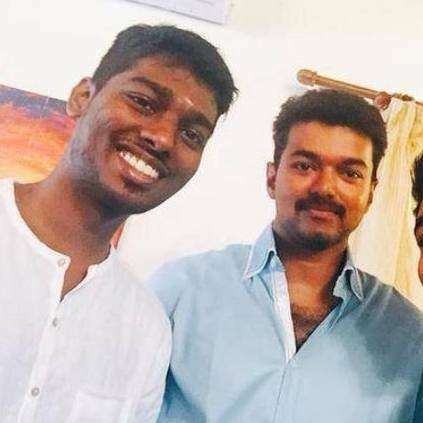 Our sources have informed us that Vijay and Atlee are very well reuniting for their hattrick venture. It is also said that AGS Entertainment will be bankrolling this biggie. This is the first time that AGS will be collaborating with Vijay. An exciting additional information suggests that the film will go on floors in January 2019 and that the team is aiming for a Diwali release. So this means that we will be seeing yet another Thalapathy Diwali after Mersal and Sarkar. An official announcement on the same is expected to come out very soon. Stay tuned for more!